Since the back cover does this book much justice I will try not to summarize the story. After extremely enjoying the Mortal Instruments Series –TMI – (featured at the bottom, well done YA, draw to the characters, action-packed) by Cassandra Clare, I was desperately awaiting the release of Clockwork Angel. This is the first book in the new series, Infernal Devices; which is a Victorian Era Steampuck spin off from the TMI series. 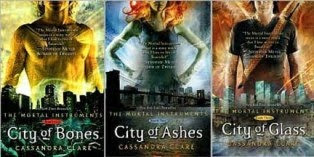 Set a little less than 150 years prior, we have cross over of heritages of some of our characters in the TMI series. I had a slow start to this book for me, since it’s not a continuation of TMI, I understood that Clare had to set up the book, which is a recap to what we learned previously. As soon as the action started it picked right up for me. I was thoroughly back in the Shadowhunter/Downworld realm that Clare designed for us. 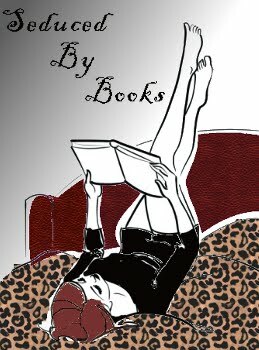 She has an unusual knack for twisting the story and I can’t wait to follow along, try to figure it out, and reach the end as I read her stories. (all a good thing) I was immersed in suspense from about midway through. Who will the Magister be, Who will find Tessa’s heart, all questions I wanted to know. As you can see, Clare kept me involved in the book. Tessa, our main character, is era specific, yet we can still relate to her. Of course, she is an avid reader, so she won my vote. Our new friends, James and Will, will be exciting to watch as the series develops. Ultimately – I liked it, I gave it 3 slices and I’m waiting for her next in this and the TMI series.